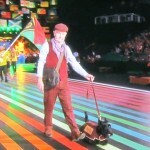 Scotties were an integral part of the Commonwealth Games Opening Ceremony Glasgow 2014 on Wednesday night at Celtic Park. With many saying they were the stars of the show! 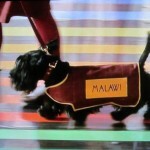 Screen grabs from the BBC coverage. You do realise that the puppy factories will be going in to full production. Think before you leap. 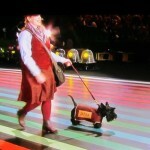 This is an issue which the welfare co-ordinators have discussed previous to the Scotties appearing at the ceremony. We will apply our usual vetting processes prior to placing a dog in any home, but with extra care. Reputable breeders are also aware of this. We have never been able to do anything about puppy farms or those people who simply wish to make money on the back of any breed which receives prominence, Dalmatians being an example after 101 Dalmatians was released. These people a ready to profit whatever the breed. 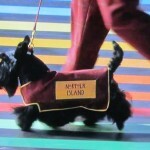 We are also aware of a possible increase in Scotties coming into STECS in a few years time. Fortunately, we have more good homes available than Scotties. Where there is a positive people look for a negative. The above reply from the Secretary explains our position. 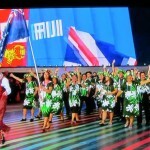 we have no control over the Commonwealth Games organisation, we can only react to potential problems. A Thompson if you are a member please submit your observation in writing and let’s discuss it at an AGM. If you are not a member let me pay your subscription and discuss it at an AGM. We did not leap anywhere. Clearly however upon reflection you could withdraw your observation and direct it elsewhere! More than forty Scotties strutted their stuff on the night, but only a handful were from STECS. It would not have made sense for our charity to miss the chance to publicise our cause by taking part; whilst facing the same probable consequences of Scottie participation; which were going to arise regardless of what we did. If you cant beat them join them! 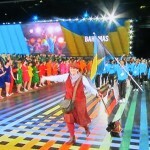 It was an honour and a great opportunity for Scotties to take part in the opening of the Commonwealth Games. Viewed by thousands of people all over the Commonwealth. 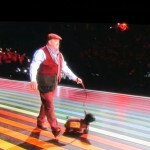 Yes it will promote the breed and it has drawn people’s attention to STECS. Is this not a good thing ?. 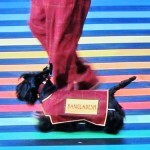 People will now recognise that even pedigree dogs have rescues. Unless the law is changed in the UK nothing will stop puppy farming or backyard breeding of any breed of dog including designer cross breeds. Puppy Farms became popular in the 70’s and at one point were given grants by the government. If you would like a discussion about puppy farming A Thompson feel free to contact me and I will give you the history behind puppy farming ). Many sites including the Kennel Club warn people of the risk of buying from puppy farms and the likes. I have checked the web sites that puppy farmers and backyard breeders use and none of the prices they are asking for pups have been increased since the opening of the games. 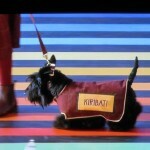 There will always be detractors – but looking on the positive side the publicity generated was second to none for the benefit of STECS – and Scotties as a breed . 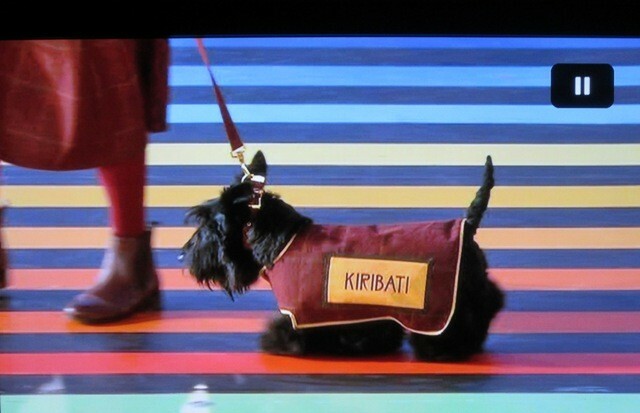 This proud little dog is part of Scotlands heritage- it was where it deserved to be . A message for the first responder ‘A Thomson’. I’m not overly enamoured with some of the methods of the STECS organisation BUT I agree wholeheartedly with the replies from STECS officials. Your comment is oh so negative. I have always been a ‘big’ dog lover but we have had Scotties in our household for more than 30 years. These feisty little fellas deserve all the praise that they can get. 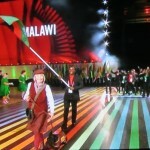 All those taking part (humans and Scotties) in the Commonwealth Games Opening Ceremony should be so proud of their efforts. I just hope that you can learn to see the positive side of life.